Sober Look: Could the rise in CO2 levels play havoc with global food supplies? Could the rise in CO2 levels play havoc with global food supplies? Goldman recently published a report discussing global carbon emissions (see discussion on cap & trade issues). 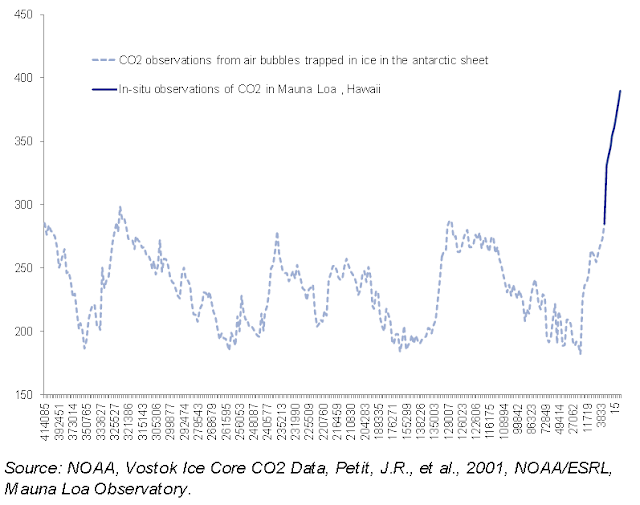 Apparently the amount of carbon in the atmosphere now is the highest in over 400,000 years (chart below). 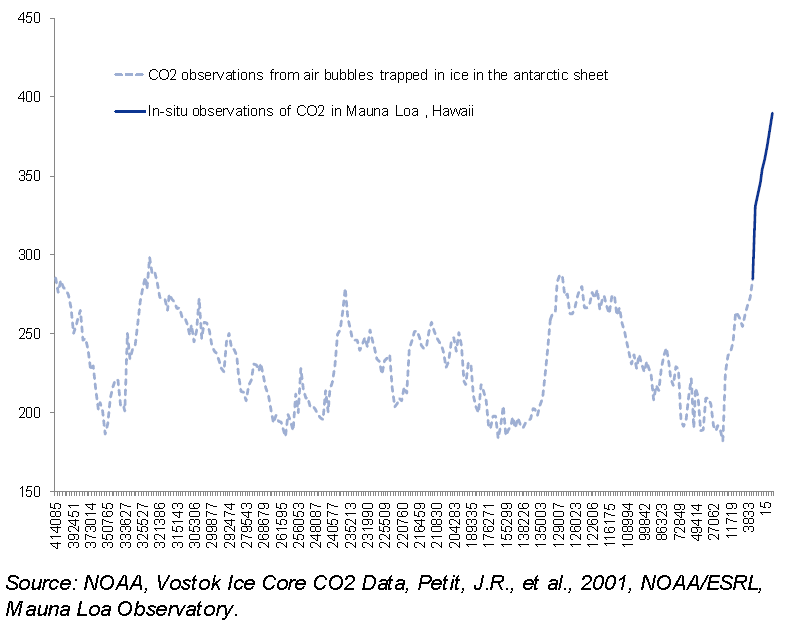 Researchers use small air bubbles trapped in the antarctic ice sheets over time to determine historical carbon (CO2) levels. It is difficult to determine what impact this is having on global weather patterns, but between last July being the hottest month on record (since record-keeping started in 1895), and Hurricane Sandy veering inland due to irregular jet stream patters, people are beginning to take this more seriously. 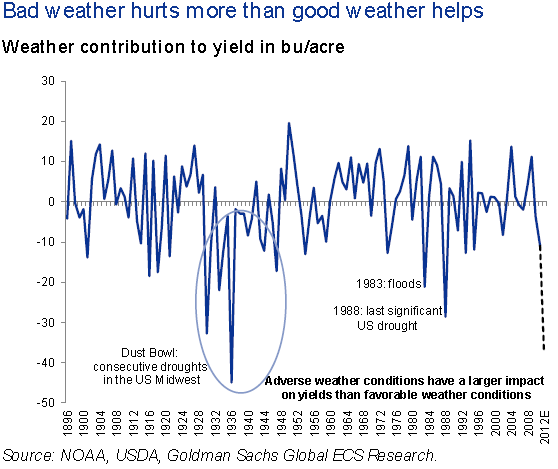 In particular the impact on global food supply is a concern because the loss in yield during "bad" years is not recovered during periods of favorable weather (see chart below - this pattern resembles the P&L of a short options portfolio). It means that if what happened this past summer becomes a more frequent occurrence, the impact on global food supplies could be devastating.